This was one of the strangest emails I've read in a while. 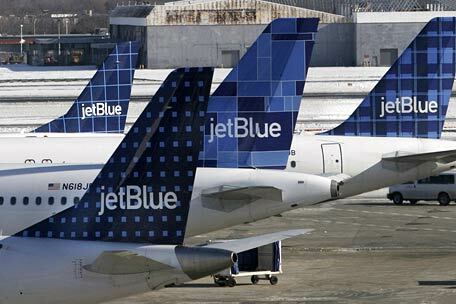 Jetblue is going to be in town tomorrow 6/10 to hold a series of "record setting" contests in celebration of their 10th anniversary and giving away some free trips to the winners. As part of JetBlue’s yearlong 10th anniversary celebration and in recognition of its most nonstop destinations out of Boston’s Logan International Airport, the #1 airline in Boston is hosting a non-stop record setting event. Bostonians will have an opportunity to secure a spot in The Universal Record Database, the “definitive site for human achievement,” for a chance to win* one of 10 JetBlue Getaways. A special record attempt will run throughout the duration of the event featuring a non-stop, 4-hour Karaoke session featuring flight-related songs. In town to host the event Dan Rollman, co-founder and president of The Universal Record Database will be overseeing the record attempts and awarding a record holder for each off-the-wall air travel-inspired challenge. All 10 category winners receive a free, roundtrip, vacation getaway, compliments of JetBlue. When: Thursday, June 10, 2010, 10:00 a.m.-2:00 p.m.
ps. blue, clue, flu, glue, loo, moo, new, poo, rue, sue, stew, two, woo, you, zoo. 0 Response to "Jetblue 10th Anniversary Contest in Copley - 6/10"
Vote for Boston to Win VH1 Do Something Award!!! Vote for the Disability Policy Consortium! Betting on Game 7 at Pairings - Tonight! Life is Good Festival Tickets on Sale - TODAY! Knight And Day Viral Promo Video?